Carmi L. Johnson is a woman of many trades. She is a high school graduate, stationary engineer, laboratory technician, custodian, manicurist, and author. 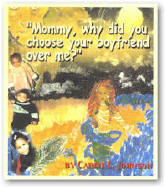 Carmi has written two books, Mommy, Why Did You Choose Your Boyfriend Over Me? and Wasted Waters. 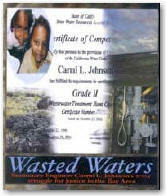 Wasted Waters is a book that deals with racism in the San Francisco, Bay area. Mommy, Why Did You Choose Your Boyfriend Over Me? deals with a girl named Kaila. The first chapter explains how Kaila's mother abandoned her for a boyfriend. The mother has been with this man for three years. Kalila's biological father is left with the task of raising her. Some of the proceeds from the sale of Johnson's book, Mommy, why did you choose your boyfriend over me?, will go towards helping pay for Kaila's college education. 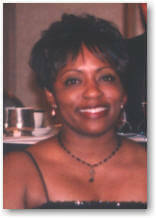 Carmi L. Johnson has two children of her own and cannot imagine the thought of leaving her children for a man. Tell us how much you like Carmi L. Johnson. Mommy, Why Did You Choose Your Boyfriend Over Me?